We cannot deny the fact that online platforms,particularly social networking platforms, have become a major force in postmodern relationships. Perhaps because of my generation’s mindset, this is hard to acknowledge, but the younger generations have been born into this reality. These younger generation of lovers have no problem with using these technological tools for their relationship advantage. No rationally thinking person can deny the impact of social networking on our love lives anymore.Why must we come to terms with the role of online relationships in our day? First, that is where the people are. With billions of people on these networks, one stands the risk of being left behind if one fails to embrace these realities. Secondly, if you didn’t meet your partner online, chances are that you may have to compete with someone they met online someday soon. 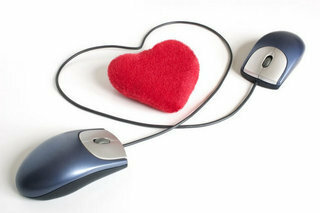 In fact being online is a credible way to protect what you have found in love. Thirdly, social networking has come to stay, it is becoming a major component of the social infrastructure of our time, and it isn’t going away any time soon. Rather than just criticizing online relationships, it is time to begin to provide practical and responsible guidelines for those who are caught in the web of online relationships. Consider the following as guidelines for navigating the murky waters of online dating. THOU SHALL NOT BELIEVE EVERY THING YOU ARE TOLD. Those who believe everything they hear and see online,are most definitely going to end up hurt. There should be some healthy skepticism about all we meet online until their character is proven otherwise. The fact that meeting people is made easy by these platforms, doesn’t mean that you should believe or adopt them easily. Lies are easily propagated on these platforms and you must be smart enough not to believe a lie. THOU SHALL TAKE IT SLOWLY. Fast is a key attribute of online platforms,but you must have enough sense to personally slow things down. Don’t rush the process. Succumbing to the speed of online relationships can lead to ghastly emotional accidents, if we aren’t careful. The phrase “SPEED KILLS” also applies to online relationships. It really takes time to be sure, it takes time to ascertain character, it takes time to certify genuineness. So go slowly and progress cautiously. THOU SHALL BE POLITE, BUT RUTHLESS IN THE TERMINATION OF NEGATIVE RELATIONSHIPS. It is important to be nice to those you meet online, until they give you a reason not to be. You shouldn’t hesitate to either, delete, block, and ignore future invitations from a person you deem unworthy. The restrictive components of the online platform are there for a purpose. Do not hesitate to use them if you have to. Be decisive. THOU SHALL CONFIRM E-V-E-R-Y-T-H-I-N-G. Owing to the intangible nature of online relationships,every. intangible claim must be backed up with tangible proofs. Never just take anyone’s word for it. Verify, verify, verify. If such claims lack tangible proofs you are at liberty to trash them. Confirmation should always come before commitment. Social networks and online relationship platforms have come to stay. Those who stick to these commandments will not only survive, they will thrive in these new times. I will have to continue tomorrow. That was a Brilliant one sir!